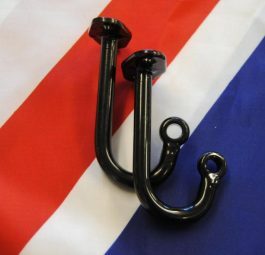 Hinges, early hook type, fits inside frame per pair. 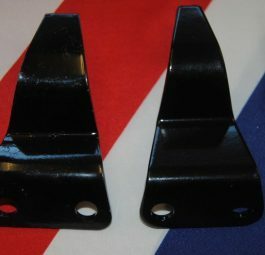 Hinges, later flat metal type, fits outside frame, per pair. 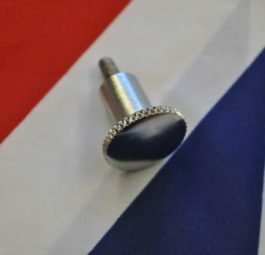 Seat knob, early chromed type with integral stud. 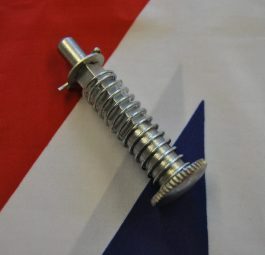 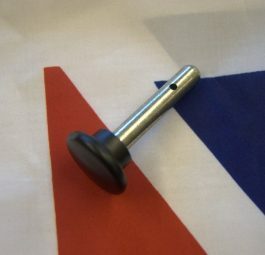 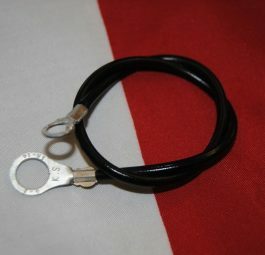 Seat knob, (Chromed Type) plunger and spring assy. 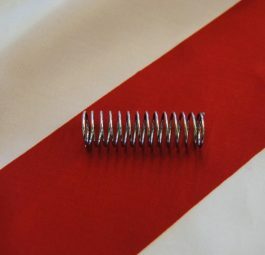 Spring for seat catch plunger.